I have to say that I was extremely surprised with how good this book was. I was a little unsure how I would like it once I found out it was written after all the events in the book happened but it worked really well. The plot was great even eerie at times since most of what happened in the book is not that unbelievable and could happen sooner than we think. 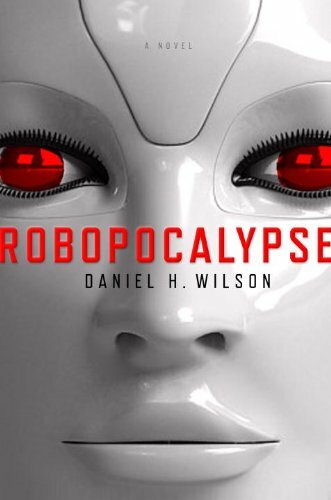 I loved the imagination of the author concerning the different robots that are encountered throughout the book. It was also nice to see the experience and point of view of people from different industries, and different moments in their lives. I kind of wish the author would have explored the aspect of the book where the humans were being experimented on specifically the experiments where robotic parts were grafted onto them. I am interested to see if the author tries to write a sequel of this book (You will see how he can do this once you read it. I do not want to give anything away.). Overall, I would give this novel a A-.